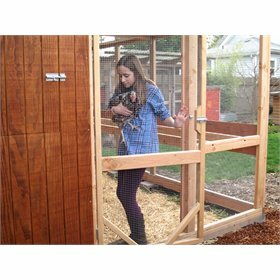 The Garden Loft offers a large, raised henhouse loft that spans the full-width of the coop and opens into a secure, covered, enclosed run. 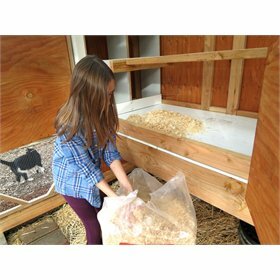 This puts everything within easy reach for care and cleaning. 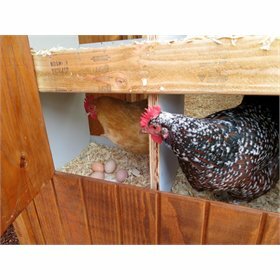 And because the run is integrated with the henhouse, your chickens are free to move between them as they please -- you don't have to let them out in the morning and put them away in the evening. 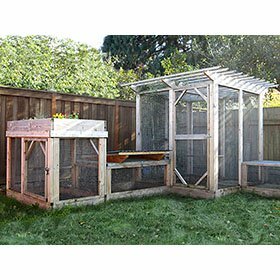 From the ground up, the Garden Loft protects your flock from predators, pests, and the weather. 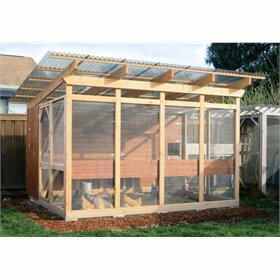 The frame is wrapped with both heavy-duty hardware cloth and plywood siding, and you can customize this however you like. 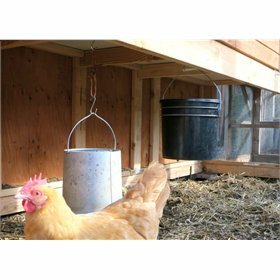 There is a hardware cloth ceiling above the henhouse and run and a hardware cloth skirt at the base. 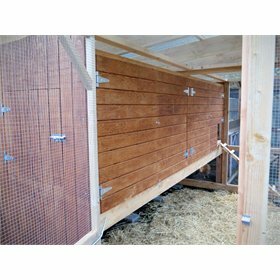 The skirt deters rodents and predators from digging in while leaving the ground in the run open for your chickens to scratch in. 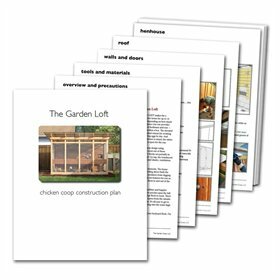 These detailed plans come as a downloadable 89-page, full-color PDF ebook, written for beginners (though some prior DIY experience is a plus, given the size of the project). 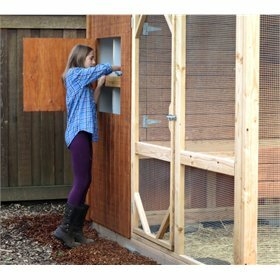 Tools and materials, measurements, cuts, techniques -- everything is spelled out with step-by-step instructions, illustrations, pictures, and tips. 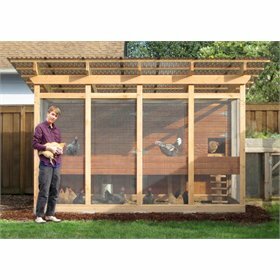 Both U.S. (feet/inches) and metric (mm) measurements are included. And as with all of our plans, you get email support from the designer should you need it. Circular saw, power drill/driver, tape measure, level, sawhorses, handsaw, hammer, pliers, speed square, clamps, metal snips, shovel, bow rake, step ladder, paint brush, rubber mallet, personal protective gear, and a pneumatic stapler (optional, for faster work). 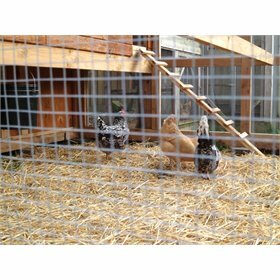 All materials are standard and easy to find. 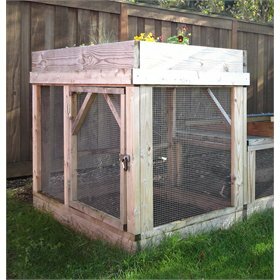 Budget around $1200-$1500 pre-tax. On the order confirmation page on the final page of the online checkout process, you will see a link to download the plans. Don't worry if you miss it! We'll also email you a download link separately, valid for 7 days after purchase. If it turns out these plans aren't right for you, let us know within 30 days and we'll refund you in full.